I got the fancy new camera this afternoon. I spoke about it a few days ago. When I saw that The Daily Post’s weekly photo challenge was “Vivid” I immediately started thinking about how many photos in my archives fit that theme perfectly. But, then I told myself I ought to try to use the new camera and catch something vivid around The Homestead. Holy crap I don’t know what I’m doing. My point-n-shoot is like an old pair of shoes. I know what to expect. They’re comfortable. The new camera…I can’t even figure out how to zoom. I…don’t…know…how…to…zoom. And I keep getting a lens error message that says the contact points need to be cleaned because they’re not making good contact. And I don’t know if that’s the camera or the operator, but I suspect the latter. And there is a part of me that is in a complete and utter panic and wondering what on earth I have done. So, I have two photos to share. I’m uncertain about both because, again, I don’t know what I’m doing. Someone want to come tutor me on a Canon D60? First photo is pansies. I planted these back in March or so and they’re still growing like gangbusters. 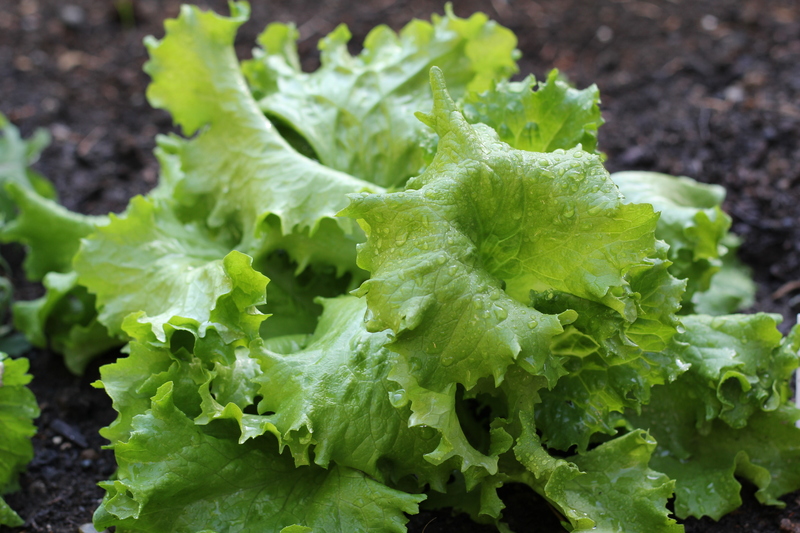 Second is the beautiful lettuce growing in our garden. Remember the garden we planted a few weeks ago? It’s doing very well. In fact, after I shot this lettuce I picked some of it to go on our tacos tonight. My photographer sister-in-law told me the lenses have manuals, too. And that I should read the manuals front-to-back and then play. Perhaps total immersion isn’t the best option? Should I or should I not take the new camera hiking tomorrow? Thoughts? Hey…that pansy picture is rather…captivating. It looks like you are doing really well with your new camera! Congrats. Thank you very much! You are bolstering my ego. 🙂 There is hope! 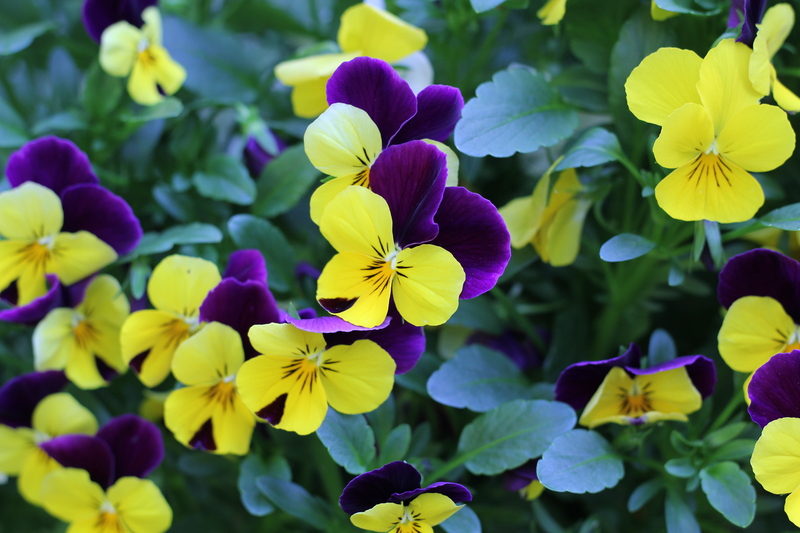 Nice detail in the photos and I love the vivid colors of the pansies. Thank you very much! They are pretty magnificent. I’m still learning how to tap the screen on my iPhone to adjust the brightness. Good for you for jumping in! And great shots! Thank you! Technology is both a blessing and a curse, isn’t it? Congrats on the new camera! I really like the lettuce shot — see how the light comes from an angle and creates shape/dimension in the leaves? So pretty!